Painting and sketching as well as mixed-media techniques with liquid AERO COLOR® Professional colours by Schmincke are more than a creative trend. 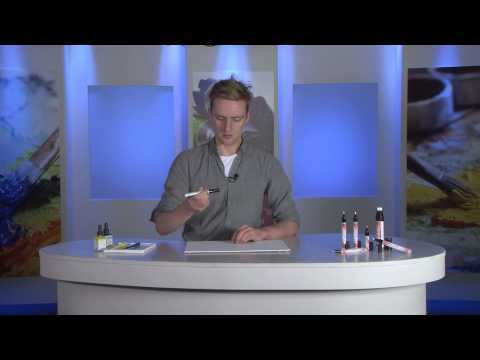 Painters and hobby artists are excited about the many uses of the finest liquid, intensely coloured and highly lightfast acrylic inks which can be applied using a brush or liner but also an airbrush. Suitable surfaces include acrylic and watercolour papers, primed canvases, stretcher frames, surfaces formed with structural pastes, wood, cardboard and many others. The important thing, as for all acrylic paints, is that the surfaces are clean, dry and grease-free. All AERO COLOR® Professional colours are available in stable glass dropper bottles (28 ml), 24 colours also in 250 ml and 5 colours (3 basic colours, SUPRA White, opaque and black) in 1,000 ml plastic bottles. Many of the bright colours are transparent. The three BASIS colours, BASIS yellow, BASIS magenta and BASIS cyan offer ideal mixing results, e.g. for a neutral grey and many brilliant intermediate shades. The 12 TOTAL COVER colours provide the perfect complement to provide cover to the existing AERO COLOR® Professional range: The semi-gloss and extremely lightfast colours in well-balanced tones also provide total cover on dark shades due to a special pigmentation. They can be mixed and combined with each other as well with all existing colours of AERO COLOR® Professional range. The dropper bottles contain 28 ml and are clearly recognisable by the black label. 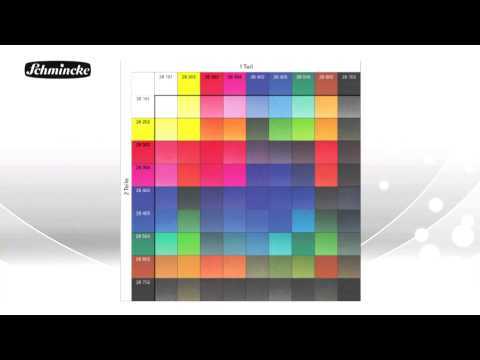 For special effects, there are also 24 effect colours for special kinds of colour effects: A range of 24 effect colours (divided into 4 effect types) which provide unique colour effects because of their versatility. Depending on the layer thickness, surface, lighting and viewing angles, they produce spectacular effects and attractive colour sheen. For even more fascinating colour effects, all the effect colours can be combined with each other and with all colours in the AERO COLOR® Professional range. AERO COLOR® Professional LINER as empty pens are perfect to create outlines with different thickness and signatures in brilliant, lightfast AERO COLOR® Professional colours. They are also very popular for drawing techniques and especially for (urban) sketching. The empty pens can be filled easily with all 36 standard colour shades and 12 colours TOTAL COVER. Schmincke offers the empty LINER with different line widths as well as replacement tips for each pen. annual promotion 2018 and 2019! * The AERO COLOR® Professional Candy colours are, as all AERO COLOR® Professional colours, water- and pigment-based + binder. This special quality feature makes the difference to other Candy colours whose recipes are mostly based on solvents and colorants.